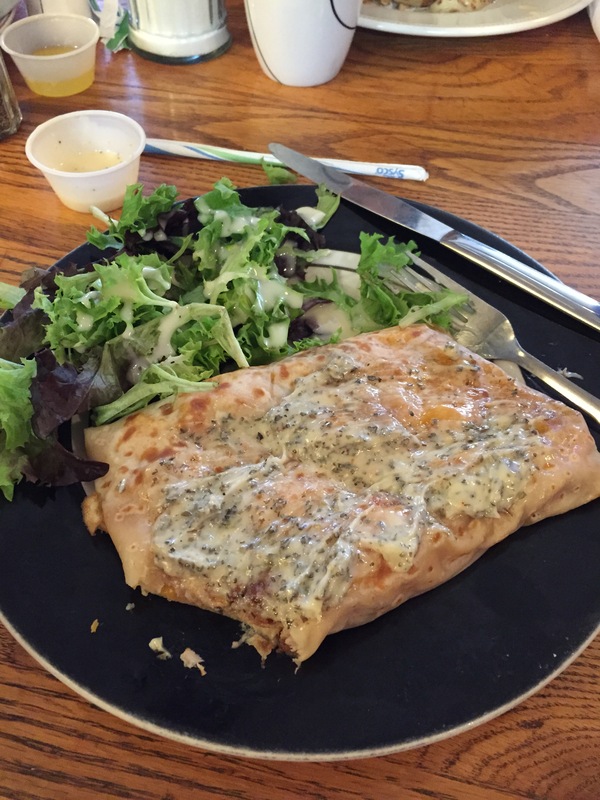 Betsy’s Crepes is the place to meet and eat! Betsy’s food is amazing cooked to order with quality ingredients. Her coffee is outstanding! Her smoothies and dessert crepes are a cannot miss. I love the atmosphere as it is energetic, yet cozy and comfortable – Betsy did an amazing job in creating the atmosphere in her business. Obviously many think the same as I do – you’ll see mommy’s with babies under 1 to those possibly older than 91 enjoy meals at Betsy’s. The wait staff is friendly, attentive and works hard to sit and serve the streams of guests that flow through the doors continuously every hour open to close, seven days week. Owner, Betsy clearly has her heart and soul in her business. She may be in the kitchen prepping ingredients, on station to make her delicious crepes, possibly washing dishes, waiting and serving guests, handling inventory and food purchases, receiving deliveries, paying bills, running the cash registers plus the hardest task of all – manage her bottom line so her business continues to be the livelihood for her family and staff – which looks to be around 15-18 employees. On this visit, I had the “In Da Club” which is Ham, turkey, bacon, cheddar, spinach, tomato & basil mayo all wrapped in a crepe. I had the plain batter at the recommendation of my 18 year old daughter. She had the “Le Popeye” which is a breakfast crepe with 2eggs, bacon, onions, spinach, garlic cream sauce, mushroom & mozzarella. We also had my two boys (13 and 7) with us, the oldest had “Huevos Rancheros” a spicy mix of 2 eggs, black beans, cheddar, salsa sour cream & jalapeno peppers. My 7 year old had a waffle with strawberries and whipped cream. Both of the boys cleaned their plates, which is unusual in itself and even rarer at a restaurant when mom is not with us. This is easily my favorite place for breakfast and lunch in Southern Pines. The food is fresh there really are options for everyone. When you are in Southern Pine or Pinehurst, NC to play golf, take some time to walk around Southern Pines downtown and check out Betsy’s Crepes.